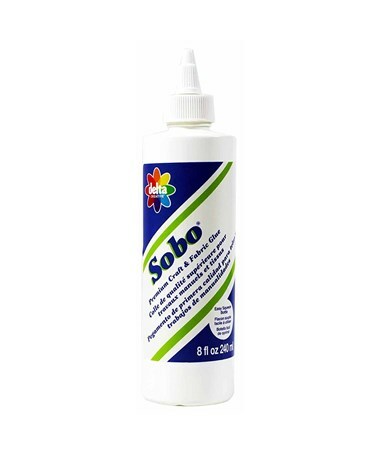 The Sobo Premium Craft and Fabric Glue is an all-purpose adhesive ideal for a wide variety of applications. 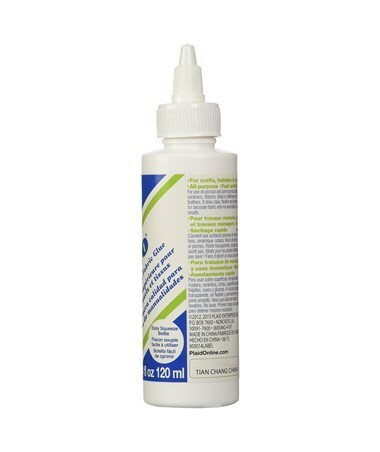 This white, liquid glue can be used to bond both porous and non-porous materials including paper, beads, sequins, feathers, wood, ceramics, leather, and many others. 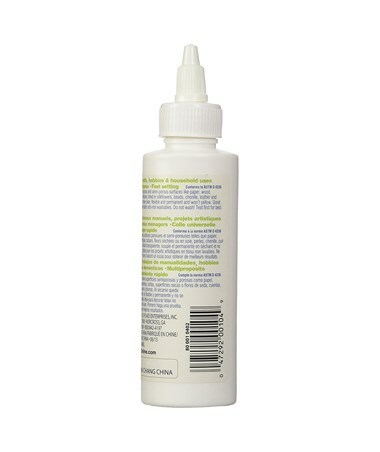 It comes in an easy-to-squeeze bottle to allow accurate and mess-free application. 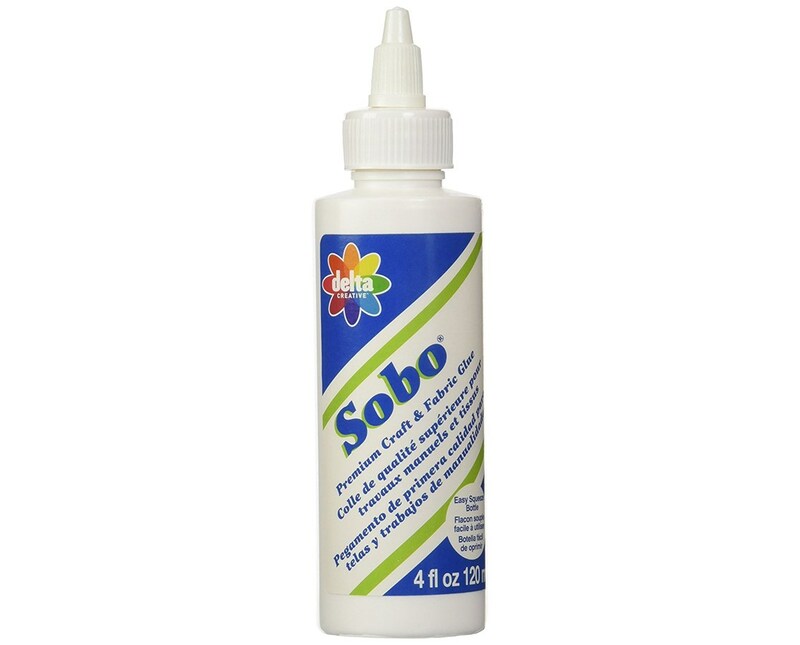 The Sobo Premium Craft and Fabric Glue features a non-toxic and odorless formulation that dries clear ensuring clean and neat projects at all times. 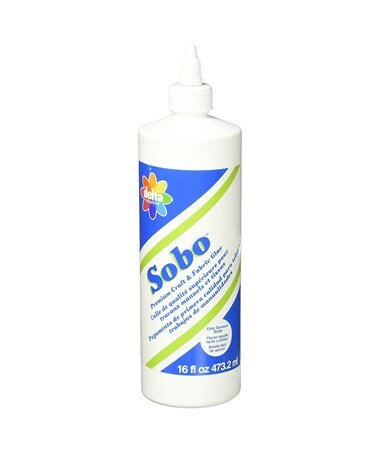 It is available in three sizes—four ounces, eight ounces, and 16 ounces—to accommodate different bonding needs and preferences. 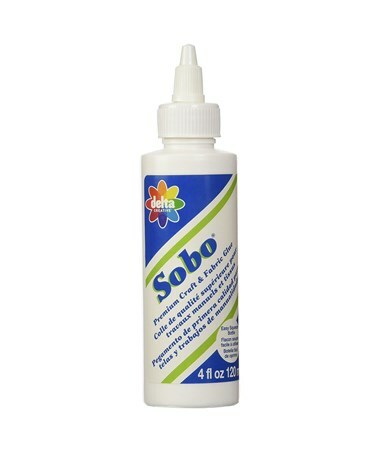 The Sobo Premium Craft and Fabric Glue comes in three different sizes to suit various bonding needs. Please select your preference from the menu above. Size: 4 oz., 8 oz., or 16 oz.